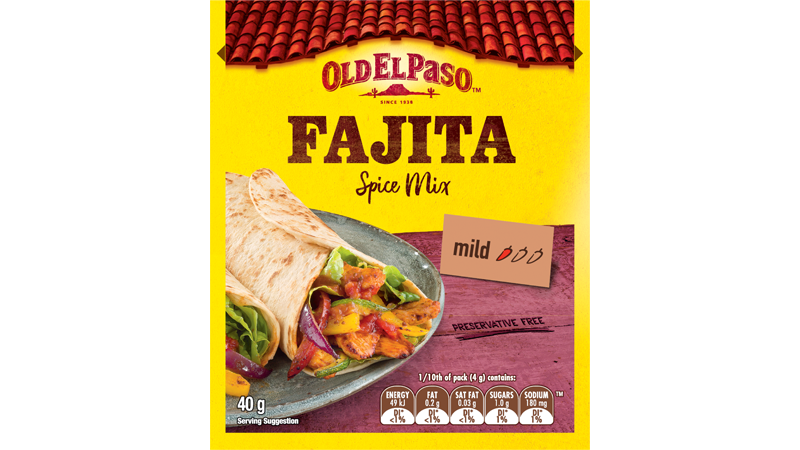 This Mexican recipe uses Old El Paso™ Hot Red Jalapenos, Fajita Spice Mix and Mini Tortillas to create an exciting and spicy Mexican meal. 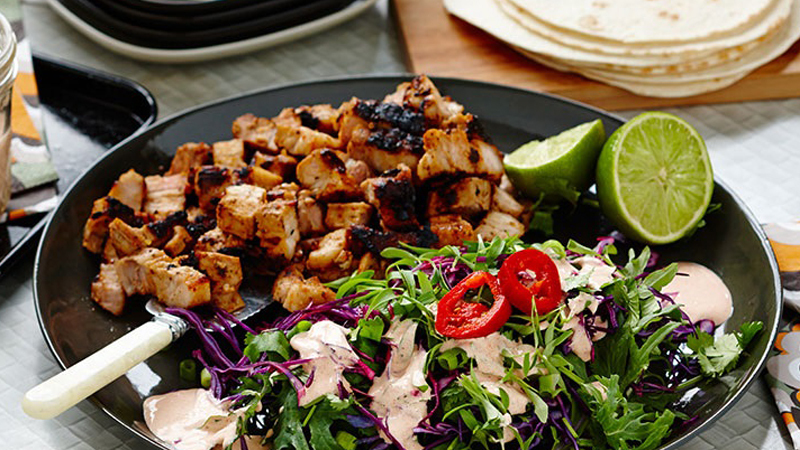 The smokiness and BBQ flavour of the pork tastes even more delicious when served with the fresh Baby Kale Slaw, drizzled with Creamy Red Jalapeno Dressing and all wrapped up in a soft tortilla. For the Creamy Red Chili Dressing: blend sour cream, garlic, jalapenos and cumin in food processor until it forms a creamy dressing. Spray pork lightly with olive oil and coat with Fajita Spice Mix. Preheat BBQ or grill pan to a high heat. Cook pork for 5 minutes each side or until slightly charred. Allow to rest for 5 minutes, then slice into bite sized pieces. For the Baby Kale Slaw: combine cabbage, spring onions, baby kale and coriander and pour over half of the Creamy Red Chili Dressing. Pour the remaining dressing into a serving jug. 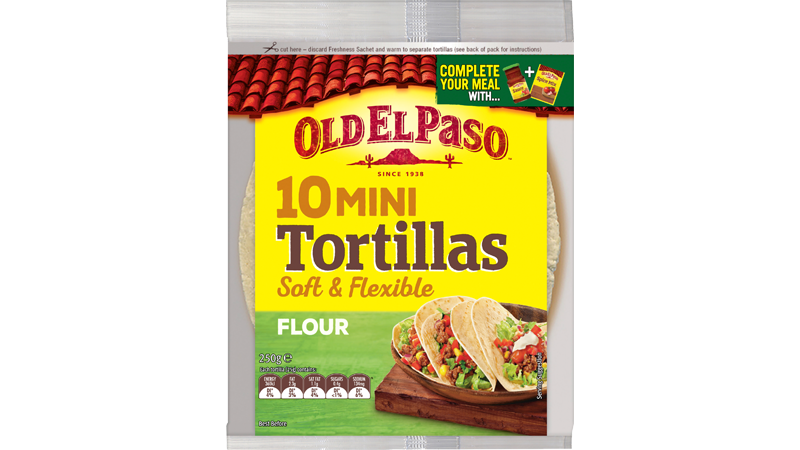 For pan toasted Tortillas: heat a non- stick frying pan over a medium heat and brown each tortilla for 10 seconds on one side only. Wrap in a tea towel until ready to serve. Make it your way! Simply serve the toasted tortillas, BBQ pork, Creamy Red Chili Dressing and Baby Kale Slaw on a large platter and let everyone build their Soft Tacos anyway they like!